Advanced Placement (AP) Courses: Designed by the College Board , these 34 challenging, specialized courses help prepare high school students for the rigors of college, while allowing schedule flexibility in terms of course quantity and type. Students can elect to take standardized tests for $89 to earn possible college credit, -depending on the score and the college; test scores also assist with the selection of appropriate college courses. AP exams are offered around the world in May and usually take 2-3 hours. Fort Collins, Colorado public high schools offering AP courses are: Fort Collins High School, Fossil Ridge High School, Poudre High School, Rocky Mountain High School . Independently run public charter schools Liberty Common School and Ridgeview Classical Schools also offer AP courses. 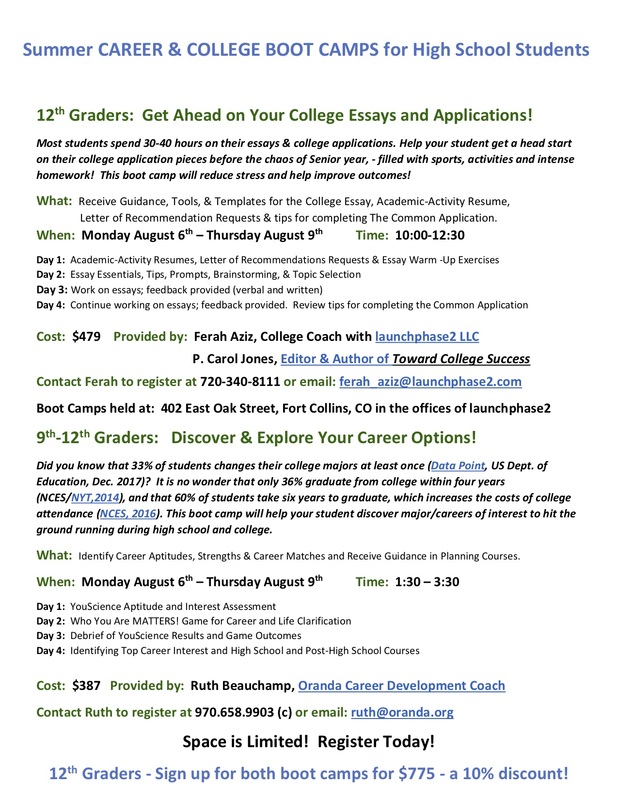 These two Fort Collins charter schools offer a core knowledge curriculum (see below) prior to the 9th grade. Core Knowledge Curriculum: This K-8th grade curriculum is designed to provide students with a core or shared body of knowledge that is coherent, cumulative, and content-specific by following a grade by grade sequence. In Fort Collins, core knowledge programs are found at elementary school Traut Core Knowledge, and middle school Kinard Core Knowledge. Expeditionary Learning: This curriculum approach, which is gaining popularity, connects learning to the real world through projects, case studies, field work and learning expeditions. Students are encouraged to discover by doing and to work closely with the community to learn, affect change or to serve. In Fort Collins, Polaris Expeditionary Learning School serves 6th-12th graders following this educational model. International Baccalaureate (IB) Program: Headquartered in Geneva, Switzerland, IB programs challenge over one million students ages 3-19, in 147 countries around the world. IB’s mission includes developing inquisitive, knowledgeable people who help to create a better world through intercultural understanding and respect. 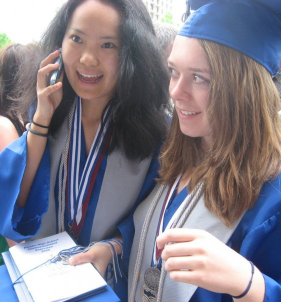 The IB Diploma Program is offered during the final two years of high school. This rigorous curriculum includes the study of six academic subjects with extensive final exams. Additionally, students are expected to devote time to creativity, action and service, as well as a 4,000 word research paper. The Theory of Knowledge requirement spurs and sharpens critical thinking skills. The IB program is structured and allows for little schedule and course flexibility, but it provides students a chance to practice organizational and time management skills which help prepare for the demands of college. College credit may be awarded based on scores of IB exams. Colorado law guarantees IB Diploma holders a minimum of 24 general education credits at all state public universities. Fort Collins’ IB World schools are Bennett Elementary , Dunn Elementary, McGraw Elementary, Lesher Middle School, Lincoln Middle School and at Poudre High School. Applications must be submitted to enroll in Poudre School District schools of choice (outside of neighborhood schools), and first consideration deadlines are nearing. When applying for college, students should understand that college admissions officers also review their school’s profile report that includes a list of available courses; they generally like to see that the student has taken advantage of opportunities to challenge themselves. Fortunately, there is a plethora of learning options available that match students’ interests and needs. Ferah Aziz is a college coach with launchphase2. Visit www. launchphase2.com/ or call 720-340-8111 to learn more about coaching for college bound students, and success coaching for college students. P. Carol Jones is the author of “Toward College Success: Is Your Teenager Ready, Willing, and Able.” Visit www.towardcollegesuccess.com to read excerpts and to follow her blog.